What did our readers share this year? What Adwerx real estate blog content resonated most? This year has been amazing here at Adwerx. One reason it’s been so amazing is that our readership has grown so much. And that means we’re able to share agent stories, best practices in digital advertising and new features for the Adwerx platform to that many more people! As we publish our stories, tips, and tutorials, you share them. Seeing what you share is validating our choice to focus on YOU. Telling your stories, and shining a light on agents who are doing it right. 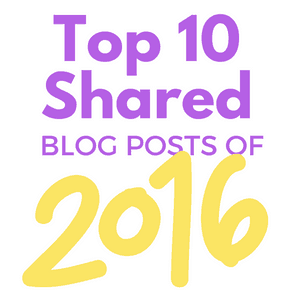 Here are the top ten blog posts that Adwerx readers shared this past year. We can’t wait to see what the next year brings! Dustin Brohm’s story was a great look at a new agent carving out his unique position in the market. And the response to his story has been truly impressive! In another of our sherpa stories, Lynn Johnson revealed something she’d kept hidden during the transaction. Her story spread like wildfire on social media, proving that sometimes keeping a secret is the best way to support your real estate clients! 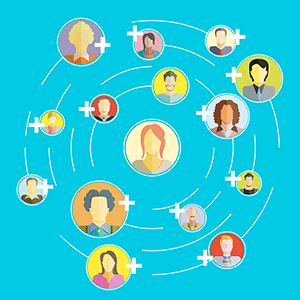 It isn’t a surprise that a post from a social media expert on using social media should be so popular on social media! (Did that make sense?) Katie Lance’s ability to make all things social easy to understand isn’t to be underestimated! This title took some guts to write because Billy is a special guy in the real estate world. (Spoiler alert: Billy himself approved it!) No wonder this one went viral. The Relola platform is as cool as the team behind it. For agents looking to demonstrate their local expertise, Relola is the way to go, and this post’s viral appeal demonstrates how important that is. Hey, look! 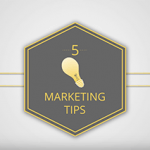 The number 5 shared posts is 5 tips! This one was a quick round up of easy ideas for real estate agents. Good to see folks wanted to share! When listing a home, there are a lot of details to remember. Particularly when planning your digital strategy for each listing.This post helps agents keep it all straight. When an Adwerx team member ran into David Bromstad at a real estate conference, she seized the moment and captured great ideas for agents! He’s funny, he’s handsome, and he’s great on camera. What’s not to love? Katie Lance makes it on the list — twice! Snap (formerly Snapchat) is getting more and more powerful as a social media channel, and early adopters are seeing interesting results! It shouldn’t be a surprise to anyone that agents do so much more than their clients ever know. And this handy lists helps them educate clients — and each other — about everything agents do to help their buyers and sellers.